Compact fluorescent lamps (CFLs) operate in the same fashion as conventional fluorescent tubes. However, they did not become practical until the invention of rare-earth / aluminate phosphors in the late 1970s. Earlier phosphors could not stand the stress of being so close to the arc discharge. CFLs also needed smaller electronic components. This was especially important for CFLs made to directly replace incandescent lamps in existing fixtures. Some CFLs come as single-piece units. These are referred to as integral lamps. They easily replace incandescent lamps but when the electrodes in the tube fail, the entire lamp must be replaced. Also, it's equally easy to replace an integral lamp with an inefficient incandescent lamp. 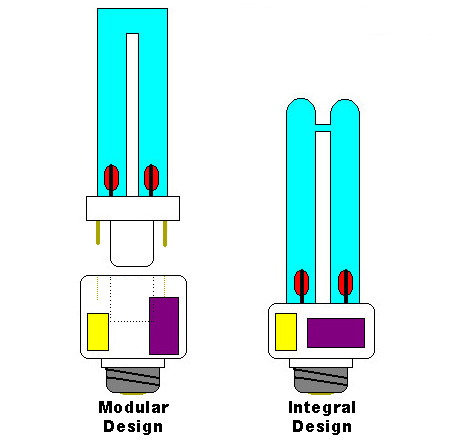 Modular designs come in two or more parts. When the electrodes fail, one needs only replace the tube section to reuse the expensive electronic package. Fixtures are being made to accept the modular tubes' unusual square bases so that an incandescent lamp cannot be used. 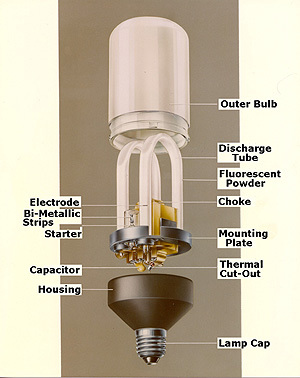 The image below is an exploded view of Philips' SL-18� integral lamp, introduced in 1980. 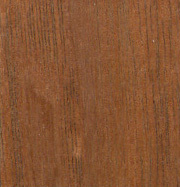 The original part descriptions have been added to the photo electronically.